These compound exercises are must-haves for full body development! So, for those unfamiliar with compound movements… they are exercises which allow you to lift a maximum amount of weight to build lots of muscle and gain strength simultaneously (Bench press, deadlifts, squats, rows etc). These exercises work more than one muscle at a time and are pretty basic in nature. A barbell, some dumbbells, a squat rack, and a bench… it’s pretty much all you need to build excessive amounts of muscle. It doesn’t mean machines are bad because you can do compound movements using them if you must But remember, the foundation of building a big, strong functional body is almost always done with free weights for the majority of workouts (So we’ll stick to them for now). 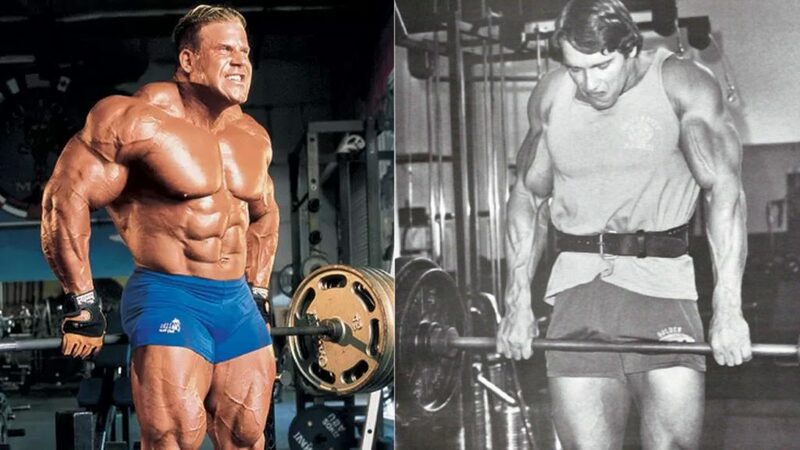 As for sets and reps… well, it really depends on several factors like experience level and amount of resistance used, so this is something unique to each individual. We’re starting with the legs since it is the largest muscle group and they are often times the least enjoyable to train. So we’re getting them out of the way first, like how many people do with their training split (Unless you love leg training). The bread and butter for quads are squats, deadlifts, and the leg press (As you probably are aware) but don’t count out lunges because when done properly they are just as effective. Grab a bench and some dumbbells/barbell and try Bulgarian split squats (One leg at a time) as they are one of the most effective quad exercises out there. Hamstring curls are still popular and for good reason (They’re great!) but nowadays we’ve come to the conclusion that deadlifts reign supreme for the posterior chain altogether. If you want a really deep stretch in the hamstrings, step up on a platform and then deadlift so the bar goes lower than your feet. Want something different but really effective as well? Try Romanian deadlifts. They are awesome for burning those hamstrings. Calves need heavy and consistent work to grow! Like… every day. Hit them on a leg press machine and work your way up to a really heavy amount of resistance. The seated calf machine is also great and the standing calf press will kill your calves. Now, they do get a lot of stimulation from your upper leg workouts but they are freaking stubborn (Show no mercy)! This one is quite simple… you don’t need any more than back extensions, Good Mornings, deadlifts and rack pulls for a strong lower back. Heavy upper legs movements will also sufficiently strengthen the lower back muscles but these are good for isolating the lower back. Be careful though as the lower back is a very sensitive area but you know well enough to progress slowly to heavier amounts of resistance. Pull-ups! What else do you need? OK since we’re giving you a variety of exercises we’ll throw in some more. 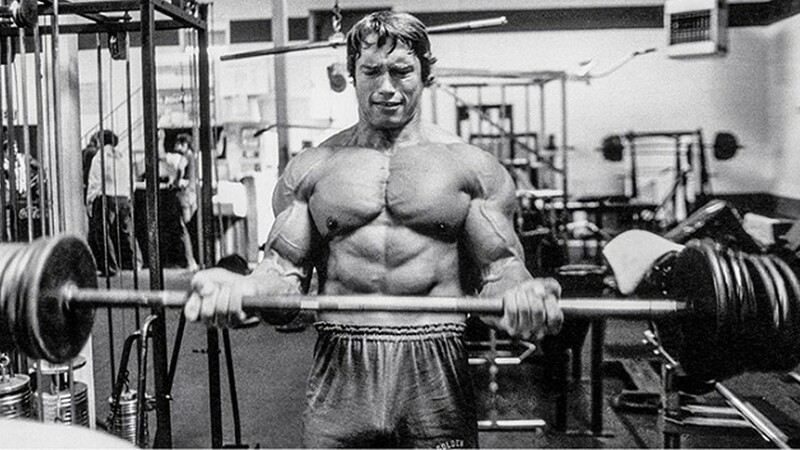 Remember in Pumping Iron when Arnold was doing corner rows and barbell rows? Well, these exercises are for you because they are right up there with pull-ups for developing an incredibly muscular and strong back. There are only a few types of movements which really target the lats and these are a pull-down movement like cable pulldowns, pull-ups and rows. That’s it, you don’t need anything else. Just make sure you feel the lats working during the movement and you’re good to go. Everyone knows traps are hard to get growing but it is possible. They get a lot of work during deadlifts but don’t forget to incorporate shrugs into your routine. It’s your choice to use dumbbells or barbells, machines or even cables too. They are stubborn as well so hit them pretty often. 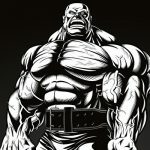 Any pushing movement involves the shoulders, and rowing/pull-down movements work the rear delts but are they enough for complete deltoid development? No! We need to be doing side lateral raises, overhead presses (Dumbbell/barbell) and rear delt dumbbell flyes. For most people, doing 4 sets of each is sufficient but again, this is based on experience level. If you don’t know what a barbell bench press is then you might want to look it up. It’s the king of chest mass-building exercises but using dumbbells can be just as effective. The only pieces of equipment you need to develop a massive and ripped chest are the bench press (Flat and incline) and a dip machine. Dips are amazing for building a nice chest and to do these effectively, you want to position your chest down toward the ground rather than facing straight ahead. Push-ups are also a great compound movement since they work the chest, shoulders, and triceps all at once. So don’t count them out just because they are a bodyweight exercise (You can add weight to them too). To get a nice stretch in the triceps, overhead extensions are unbeatable, which means they are a must in any mass-building routine. Otherwise, the close grip bench press and dips have always been king among all others. Now, the triceps have three heads and it’s very important to know this. These mass builders will work all three to help develop that horseshoe looks we all dream of. Yes, of course, the triceps get hit with all pushing movements but the contraction and stretch which occurs in the previously mentioned exercises are necessary for building titanic triceps. OK so when you think of big biceps, what’s the first exercise which comes to mind? We bet you’re thinking bicep curls… well, this is for good reason as they work plain and simple Barbells or dumbbells, it really doesn’t matter as long as you’re curling. But what could be as good or even better than curls? Not much to be honest but chin ups are a close second for sure. The great thing with chin ups is that you don’t even need any equipment besides your body weight. Seldom will you ever see someone in your gym working their forearms but if you can make them sore by doing some more focused movements then why not? Simply holding a heavy barbell or dumbbells will work your forearms but direct forearm curls on a bench should give a nice pump. Reverse and hammer curls will hit the top part of the forearm quite nicely as well. It’s important to remember that forearms, like calves, are extremely stubborn and the freaking things won’t grow until you literally annihilate them so don’t be afraid of overtraining (But at the same time give them about a day’s rest to recover). Some people believe direct ab work is a bunch of crap but on the other end of the spectrum, many people praise weighted crunches and planks for being amazing ab developers. Abs are largely targeted through heavy lower body movements but if they aren’t quite responding, opt for the weight crunches and planks for even more abdominal stimulation. That’s it! A simple guide to compound movements you should be doing if you want maximum gains. These exercises are well-known as being the most effective for placing muscles under the most amount of stress. Sure, we could get more complex but the basics are pretty simple in nature but yet, very effective! It’s important that you know… every exercise is not suitable for every body type which is why finding what works best for you is the best strategy you can ever use.